In the outer edges of the Oort cloud, a Sun Gate links solar systems light years apart. The gate quickly becomes its own hub of activity as mining factions drag nearby asteroids into the gate's orbit. Hollowed asteroids become bases, homes to many. When riches are discovered, peace becomes cheap. With humble beginnings as a hobby project that began in May 2009 and a free prototype stage in January of 2011. The project has entered a commercial Early Access stage in January of 2014, and its initial release in January 2015. Fly ships, large and small. Pilot with mouse or joystick in six degrees of freedom in Newtonian space. Designed for intense space dogfights and atmospheric feel. Instantly switch ships to use a variety of weapons and capabilities against deadly enemies. Large ships aren't just slower moving versions of fighters, use a control and camera mode optimized for commanding larger ships and fire their turrets. Toggle crew control - if you want your ship's crew take over or if you want to hop into a turret. At your disposal - total control over your forces. Issue orders to your fleets. Build ships, stations, defenses. Manage your bases and economy. Tactical Mode more than a 3D battle map - a command and control interface. Think there's not enough time? Time dilation - make time for tactics and management. Combining the best of space combat and real time strategy. 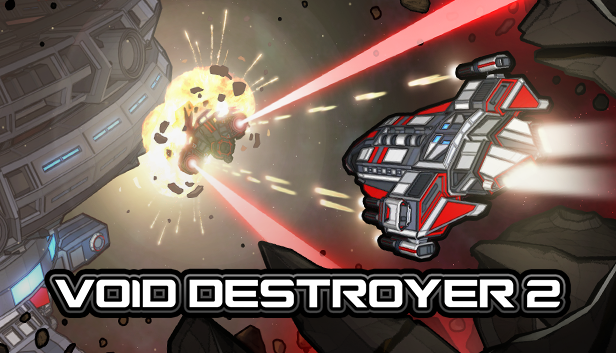 Void Destroyer combines elements from two genres to you the choice of how to accomplish your goals. Want to personally fly a bomber? Or issue the command? The choice is yours. All brand names, product names, or trademarks etc belong to their respective holders.